Mwanaka Fresh Farm Foods is the brainchild of David Wilfred Mwanaka, an award winning writer and journalist. Born in Zimbabwe, David grew up eating white maize. When he came to Britain in the early 1990s, David was surprised to know that white maize was not grown or even known about. He missed eating white maize so much that he thought of growing the crop himself. David then started carrying out trials, growing white maize. 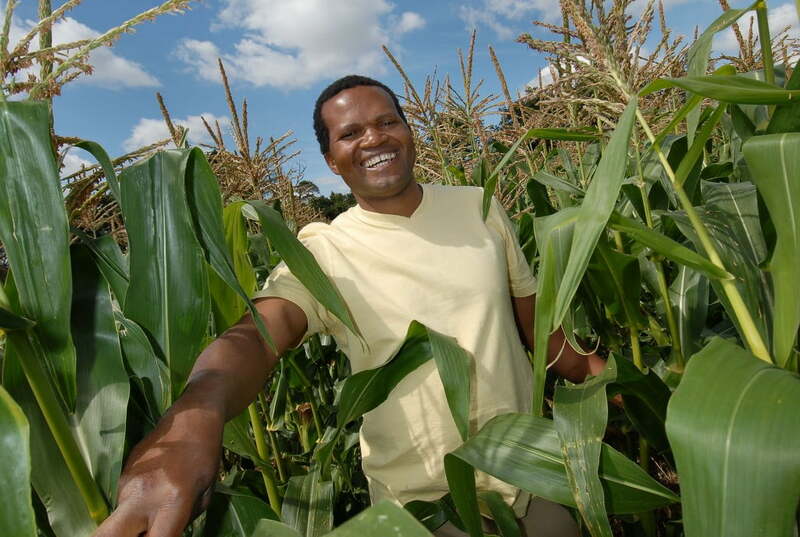 After 6 years, David was confident he could grow white maize commercially in Britain. From such simple beginnings, helped by his wife Brenda and their three children Jonathan, Ruth and Miriam, the family now successfully grows white maize on a farm just outside London. As from 2007 David came up with another new product in the UK. That is White Sweetcorn, which is so popular as an alternative to yellow sweetcorn. Children love it and would advise you to put it on your list of 5 a day health eating. For that reason it quickly found its way onto shelves of supermarkets like Sainsbury’s and into UK top stores like Harrods and Selfridges.